The duo is now regarded as one of Christchurch's finest. Rob arrived in Christchurch in November 2005 from the UK with his family. He has been playing guitar for over thirty years. He has performed in the UK for over twenty years and has over 2000 live performances under his belt either with bands or duos. Over 300 of those performances were for Weddings or private functions. Rob has also run a disco alongside the live music at most of these functions. In addition to this, he has taught the guitar and keyboards for over twenty year. Originally from Napier, Becky has been singing all her life, including productions in school. She was a Smoke Free Rock Quest finalist. She completed a 2 year Diploma in Performing Arts (Voice) where she sang in Italian, French and German, and made numerous appearances singing in concerts. Becky has been a successful member of various bands, trio’s and duo’s, singing at birthdays, weddings and in pubs and clubs before joining Rob in QED. 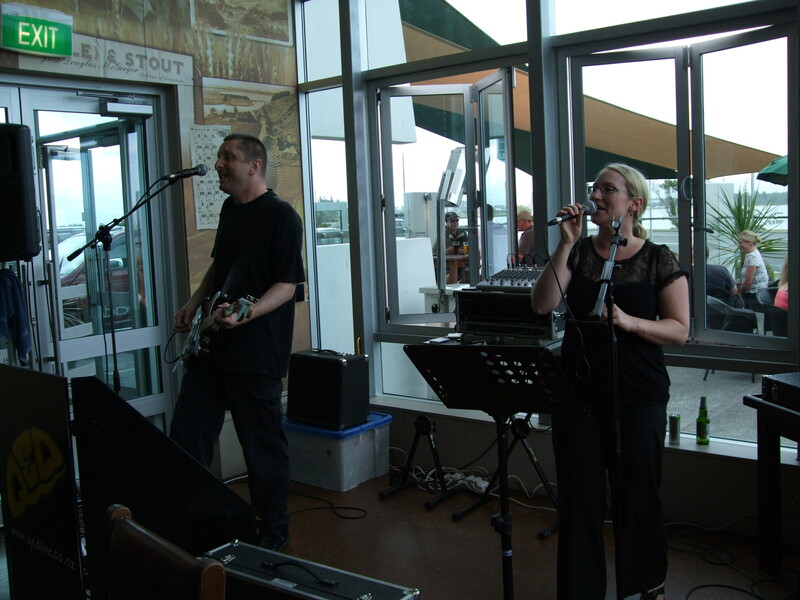 The duo is now regarded as one of Christchurch’s finest.